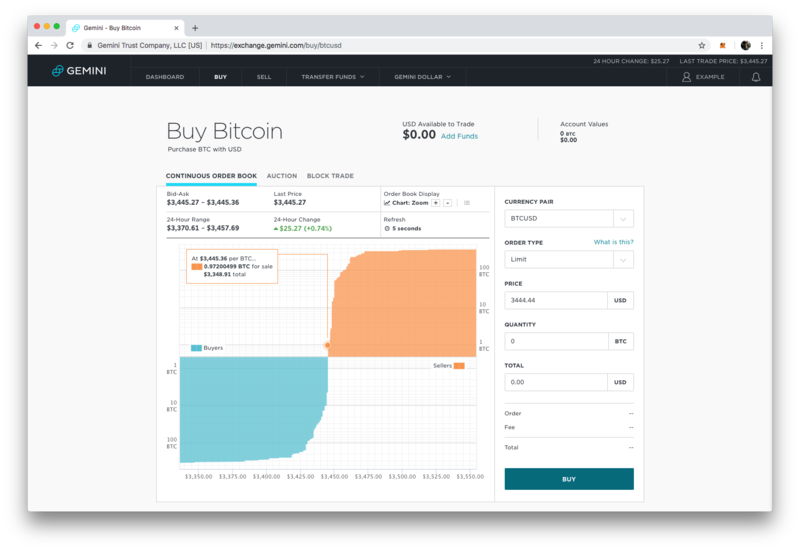 TokenTax connects to Gemini for easy crypto-currency trade tracking and tax filing. Open the Gemini API (https://exchange.gemini.com/settings/api) page by clicking your name at the top right menu and selecting API Settings. Click Create a New API Key. In the API key settings, disable Trading and enable Auditor. Click Confirm once you have copied over the API information.